Metta: (noun) loving-kindness, friendliness, goodwill, benevolence, universal love. Metta is Pali word from the Buddhist tradition signifying the practice of spreading compassion towards the self and others. The application of metta is the act of bestowing loving-kindness in one's day-to-day conduct –through all bodily, verbal and mental activities. With this in mind, Metta Events executes each wedding day with ever-present mindfulness, ease, and grace. Metta Events is a full-service event planning firm based in Newport, Rhode Island and Shelter Island, New York. Christine and her team execute extraordinary events throughout the Ocean State, East End of Long Island, New England and beyond. Specializing in weddings, we offer three levels of planning services. We create beautiful and memorable events for our couples, their families and their guests. Our planning process is creative and efficient with a focus on our client's style, goals, and unique tastes. We believe life's celebrations should be heartfelt, beautiful and outrageously fun! Christine graduated from Barnard College, Columbia University with a degree in Art History. She has managed galleries and events in New York, Massachusetts, Vermont, Michigan, California, Arizona and primarily in Newport, Rhode Island. Her art and design background served her well as the Director of Events at the Newport Art Museum. Christine has been planning weddings and social events since 2009. With an eye for design and detail, Christine offers her clients both creative vision and meticulous attention to the many aspects of any celebration. With an ever easeful presence, Christine cultivates calmness in the busyness of the wedding or event day—allowing clients and guests to enjoy the festivities stress-free. Christine has helped host intimate gatherings, elaborate wedding weekends and fundraising galas for 400+ guests. Calling on her hospitality and design experience, she connects personally with each client to bring their vision to fruition. Throughout her years of living and working in the Newport, Rhode Island area, she has partnered with many vendors and venues to create the spectacular events her clients envisioned. 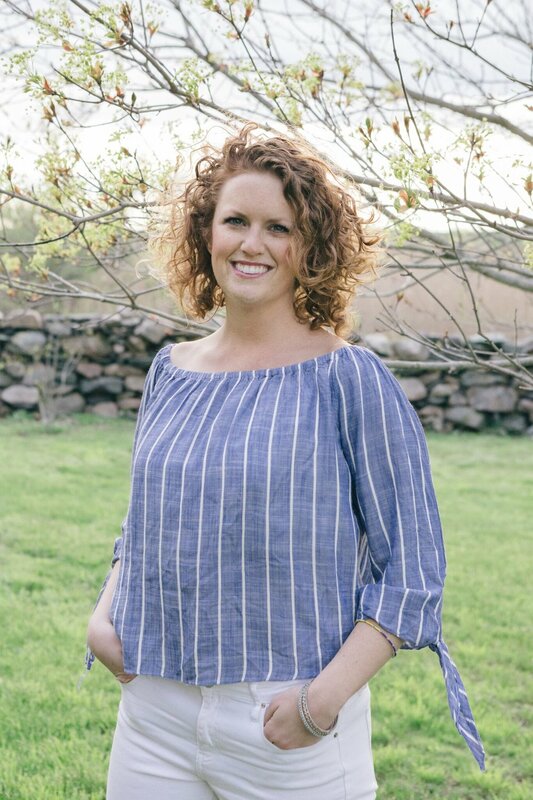 When Christine isn’t planning events, you will find her teaching yoga and meditation, creating artwork in the pottery studio or traveling the globe. Her daily practices of deep breathing, developing mindful awareness, and cultivating gratitude are the tenets of her graceful event work. She recently completed the Mindfulness Based Stress Reduction program developed by Dr. Jon Kabat-Zinn to offer clients (and herself!) ways to make the planning process even more enjoyable.